Where Are All the 3D Holograms?! 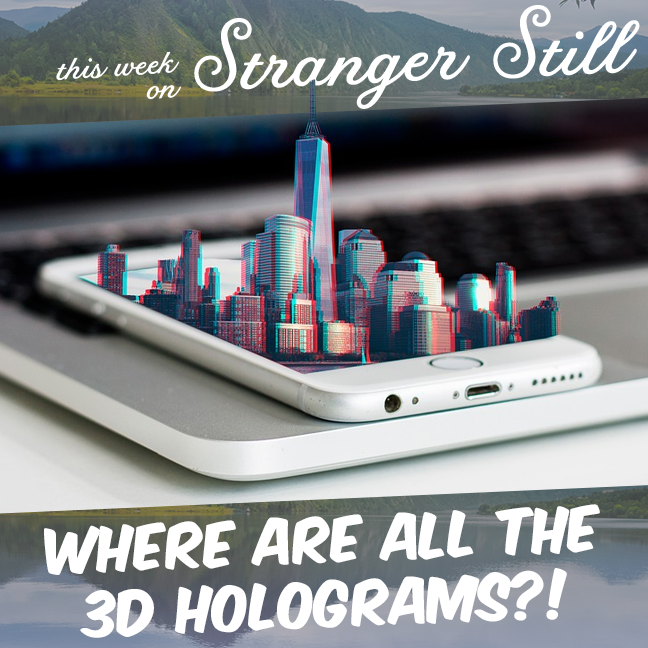 This week we explore, “Where are all the 3D holograms?” 2D holograms are everywhere around us. But those are boring! If Star Wars and Back to the Future 2 taught us anything, it’s that 3D holograms are the future of communication. But it’s 2019, and they’re no where to be found. So where are they? How Do Serial Killers Blend In with Society?